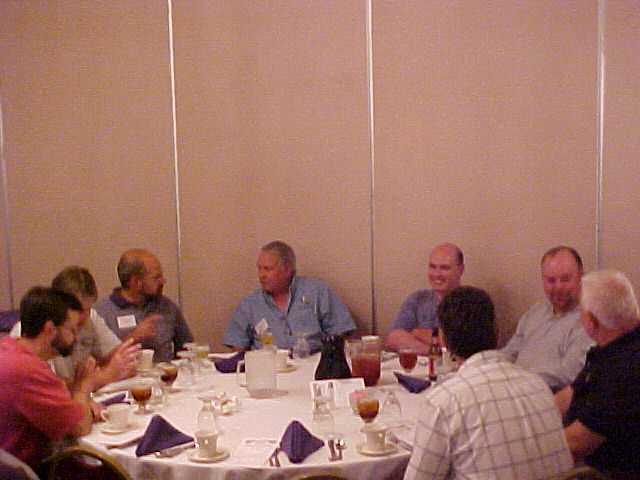 Getting ready to enjoy a great meal was from Left to right: Jeff Katchko, Ross Baird, Ed Holland, J ack roach, Jim frustieri, Doug Williams, Unknown, Chip Mcelwee. The mystery of the unknown in this photo has been solved!! It is Rick Jones from Ohio.